Sick Of Developing IoT Devices? The Iris Module Is Your Medication! For consumers the IoT or in other words ubiquitous connectivity and access to nearly every device makes life easier. But let’s face it: for a big number of companies and developers it’s a pain in the ***. 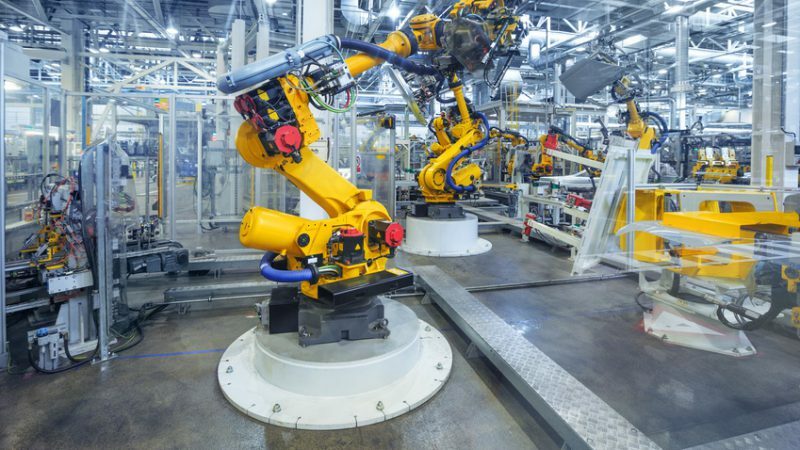 The thing is, even if you are familiar with electronics and do have the expertise necessary to build wireless connectivity into your products it is still a major effort. 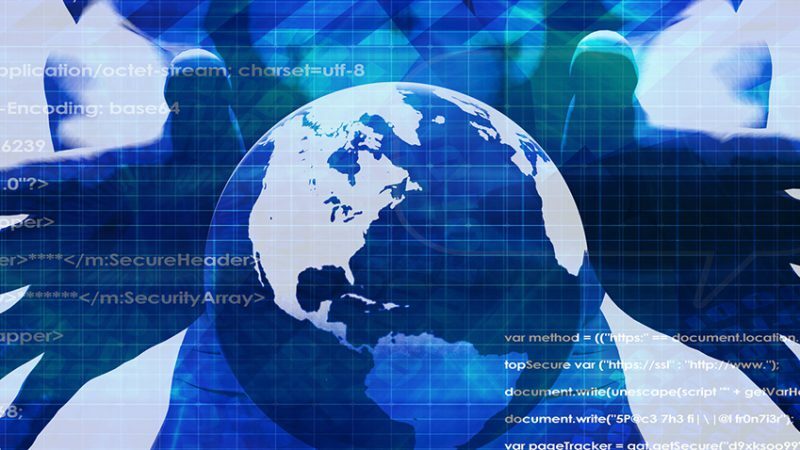 Certification, hardware development, software development, security features, cloud storage, device management, data analytics… there is a vast amount of things you need to consider in order to build a successful IoT device. At EBV we think IoT should be easy for everyone – also for developers! Therefore our EBVchips team partnered with the guys from DeviceDrive in order to deliver a module and ecosystem that includes everything necessary to build a state-of-the-art IoT solution. 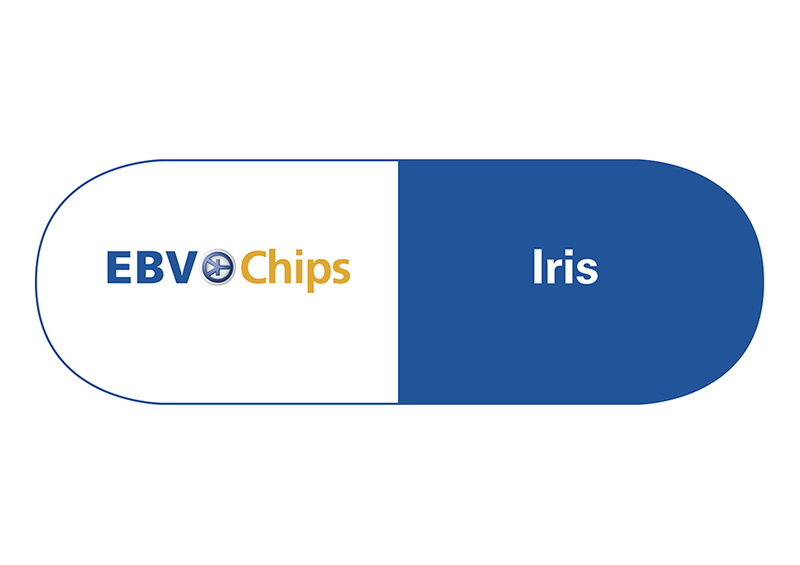 The outcome is the EBVchip Iris which was introduced last year. 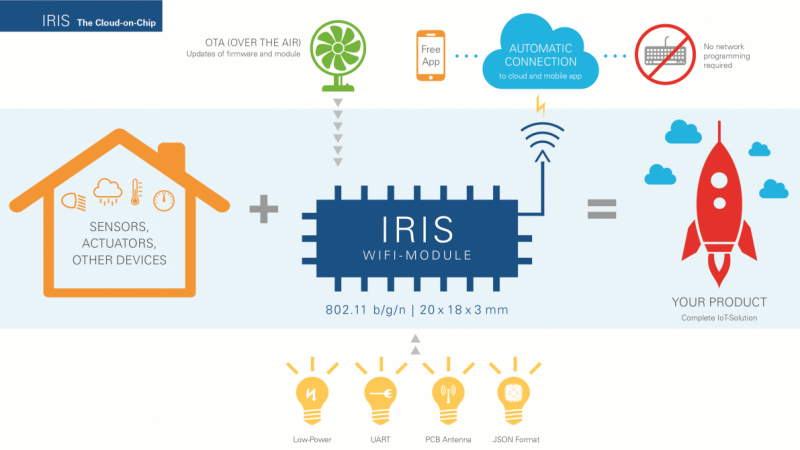 Iris integrates everything from MCU over network processor to on-board PCB antenna. There are some more hardware goodies in the small chip which you can access here. The cloud, service and DeviceDrive ecosystem further offer pretty much every additional feature you can imagine (access all of those here). The latest upgrades to Iris include an OTA feature which allows you to distribute software upgrades as painless and securely as possible. In addition Iris is now supporting a broad operating temperature range from -40°C up to +125°C! Thus Iris is well suited for industrial applications. The quintessence? If the IoT gives you headaches take one Iris per device* and you should feel immediate relief and be able to concentrate on your core business and develop the best product possible without worrying about connectivity. *If additional treatment is required use this video channel to learn more about Iris and how to get started with DeviceDrive.